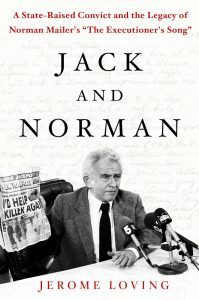 In a review for The New Republic, Sarah Weinman says of Jerome Loving’s recently released biography, “Jack and Norman is a book that makes one wonder why it took so long for someone to write a full-length treatment of the whole mess.” Loving’s book sheds light on the unique relationship between author Norman Mailer and federal inmate—and author of the bestseller In the Belly of the Beast—Jack Henry Abbott. While researching and writing The Executioner’s Song, about Gary Gilmore’s shocking decision to rush the death penalty rather than endure multiple appeals, Mailer began a correspondence with Abbott that evolved into a mentorship and spanned Abbott’s release from prison and relapse into crime. 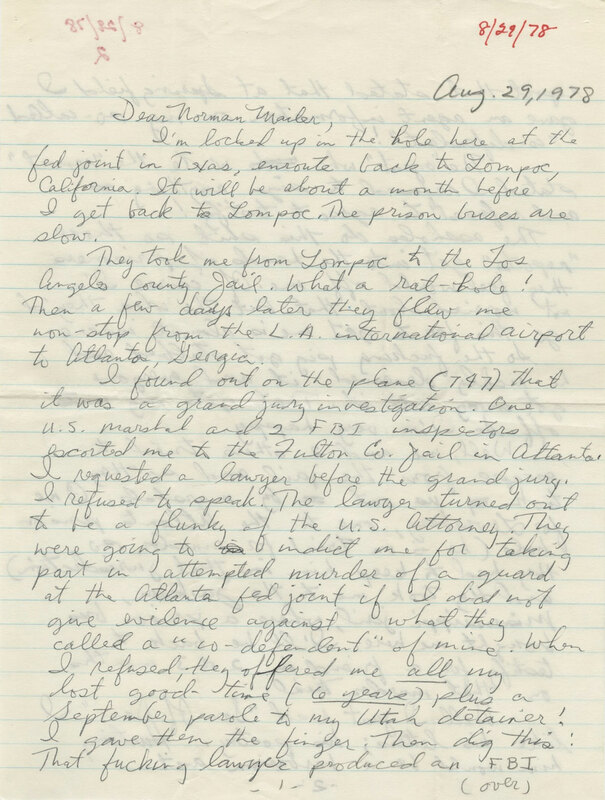 This correspondence is the heart of Loving’s biography, Jack and Norman, which uses these letters to tell a story about the American prison system and the history behind two famous nonfiction tragedies of the twentieth century. Loving spoke with Cultural Compass in anticipation of the book’s release. What initially attracted you to the relationship between Norman Mailer and Jack Henry Abbott? What do the similarities in Abbott and Gary Gilmore’s experiences as criminals (both men landed in jail for petty crimes and committed murder upon their release) reveal about the American prison system? Are there limitations to using their cases to understand the prison system? Jack Henry Abbott’s letter to Norman Mailer of August 29, 1978. From the Norman Mailer papers, Harry Ransom Center. 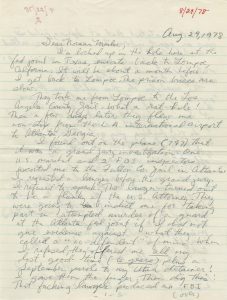 Did you make any interesting or surprising discoveries while researching the Ransom Center’s Norman Mailer collection? Yes, indeed, without the Ransom Center and the Norman Mailer papers in its collection, my book would not exist. The letters are at the heart of its tragic story. What was your initial opinion of Mailer, and how did it evolve as you read his correspondence? 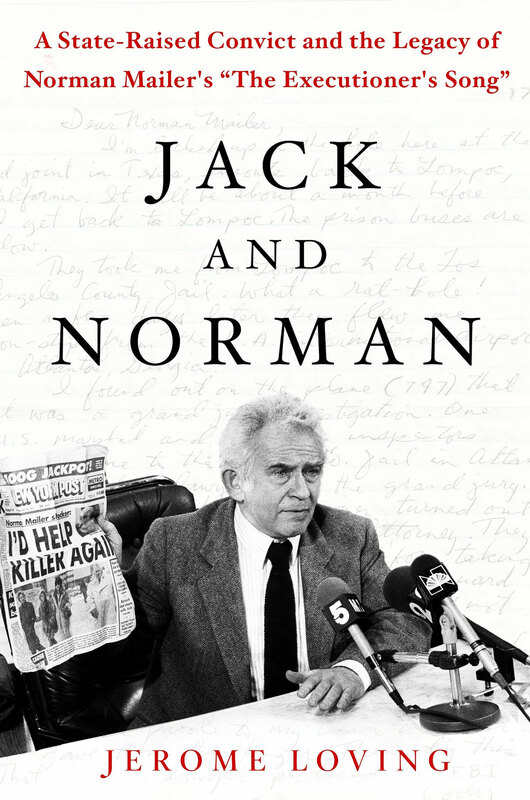 Jack and Norman: A State-Raised Convict and the Legacy of Norman Mailer’s “The Executioner’s Song” is now available from Macmillan. What a great piece!! So informative, Ms. Kessenich is a great writer!